Fantastic value for money if you make this executive one bedroom property yours today. 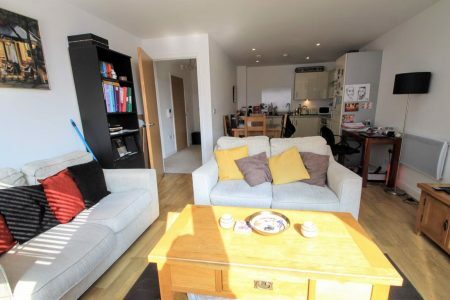 Within minutes walking distance from Mermaid Quay, Keylet are pleased to offer this fully furnished, large one bedroom property with open plan living room and fully fitted kitchen and bathroom with shower. This property is ideal for young professionals looking to be right in the heart of the thriving Cardiff Bay area. All amenties within short walking distance. Unfortunately there is no allocated parking available however in such a great location and with excellent public transport links on hand. Fees Apply. Located in the heart of Cardiff Bay, this high-spec apartment is just moments away from all bars and restaurants Mermaid Quay has to offer. The accommodation comprises a spacious lounge, open plan modern kitchen with integrated oven, hob, dishwasher and fridge freezer, modern sleek bathroom and good size double bedroom with built in wardrobe. The property furhter benefits from shared access to communal garden. The property is available fully furnished. Fees Apply. Located on the ever popular Victoria Wharf, this lovely two bedroom property is perfect for a couple of 2 sharers. Finished to a very high standard, the property comprises two double bedrooms, both benefiting from built in wardrobes, and the master having an en-suite; an open plan lounge/kitchen area, with built in appliances including fridge freezer, washer.dryer & dishwasher; and a separate mmodern bathroom. The property further benefits from a good sized balcony with water views; a 24 hour concierge; included water rates; allocated parking & visitor parking. Located in the stunningly restored Empire House, right in the heart of Cardiff Bay, this 2 double bedroom property is perfect for a couple or two sharers looking to benefit from all that Cardiff Bay has to offer, being just a short walk away from Mermaid Quay. The property comprises an open plan lounge/kitchen/dining area, with integrated fridge/freezer, dishwasher and over & hob. The lounge also enjoys a large corner sofa and dining table. There are 2 double bedrooms, both with built in double wardrobes, and a high-spec bathroom with over-the-bath shower. The accomodation further benefits from secure allocated parking; on-site gym; secure bicycle storage; concierge and intercom system. Mermaid Quay has a wide range of bars and restaurants on offer, while Cardiff Bay train station is also just a short walk away with trains direct into the city centre every 12 minutes. Fees Apply. Sorry no DSS or students. 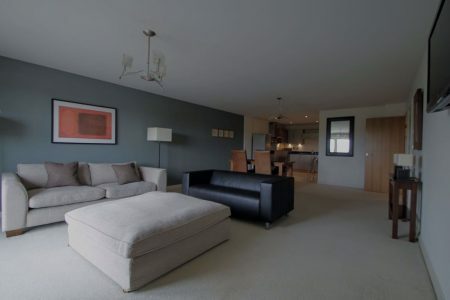 A stunning and rarely available two bedroom apartment situated in the popular development of Harbour Point. Positioned in the heart of Cardiff Bay this light and bright apartment has been refurbished to a high standard throughout offering the new owner a bespoke finish. The accommodation comprises of entrance hallway, living room with bay views, kitchen with integral appliances, two double bedrooms with master en-suite, main bathroom and ample storage. 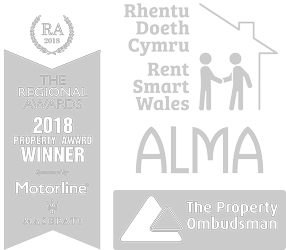 The property benefits further from a wide receiving south facing balcony with views across Mermaid Quay, allocated parking and under floor heating. Harbour Point is a unique development of 14 apartments. Harbour Point offers modern communal finishes with a working lift to all floors. There are a scarcity of apartments offering such quality within the bay and early viewings are encouraged. Fees Apply. Located in the ever popular Prospect Place, this 17th floor apartment enjoys stunning panoramic views over Cardiff Bay & beyond, and is perfect for a couple sharing or single professional looking to enjoy the Cardiff Bay lifestyle. The property comprises 1 double bedroom, which boasts a fitted wardrobe and en-suite shower room, and also a 43 inch television which retracts into the bedframe. There is also a separate modern bathroom, while the living space is an open plan lounge/kitchen/dining room. The lounge enjoys a large corner sofa & separate 2 seater sofa, a 65 inch television and a 50 inch television. The kitchen is fully fitted with integrated appliances which include oven & hob, microwave, dishwasher, washer/dryer & fridge-freezer. The property further benefits from a 24 hour concierge, on-site leisure facilities, allocated parking and water rates are included in the rent. Fees Apply. Brand new two bedroom apartment siuated in the lovely Pentyrch Village. The ground floor property benefits from a good size lounge with an open plan high gloss modern fitted kitchen, a luxury three piece bathroom suite with shower over bath and two double bedrooms. Benefits include a private garden, under floor heating and an allocated parking space to the rear, as well as street parking. Managed Property. Bond £875. No Pets, Smokers, Students or D.S.S. Located in the heart of Cardiff City Centre, this commercial unit is available from 15th April 2019. Situated on Charles Street, the office is perfect for anybody looking to base themselves within the City Centre to take full advantage of networking opportunities and the transport links. Bills are included in the monthly rent exc. business rates. For more information or to book an appointment, please call 02920 489 000. Located in the highly sought-after Victoria Wharf, this furnished 1 bedroom apartment is perfect for a single professional or couple. The property comprises 1 double beroom with fitted wardrobes; bathroom with bath and overhead shower; a fitted kitchen with dishwasher, washer/dryer and waste disposal system; and a spacious living room leading onto a balcony with water views. The property further benefits from allocated parking, 24 hour concierge, allocated parking and visitor parking. Managed property. Deposit £750.00. Fees Apply. Sorry no DSS, pets or students.